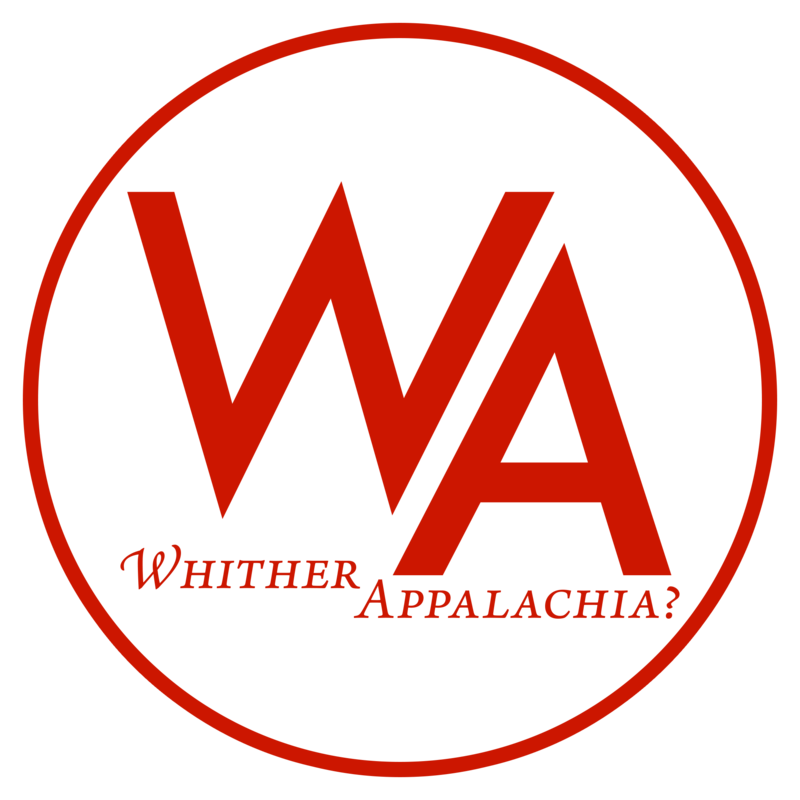 At a Junction – Whither, Appalachia? Since its first description centuries ago by European travelers, the site of the current-day village of Mingo Junction would not be a recognized settlement. In fact, a village would not be established there until after the American Civil War, and the “Junction” added to its name only some years after that. Curiously, the adoption of the term by the village’s adopters served to indicate its seemingly determinate presence at precisely that time when it was aspiring to state-recognition of its ossification. As we will see, this settlement’s emergence, dependent on the penetration of autonomous agricultural communities by capital, precluded both a continuing transience and the ravages of industrial deployment. This is not so much the history of a particular village, but a preliminary analysis, whose dilution to the point of a locale may prove fruitful elsewhere. In the wake of increasing pressure from both of the major colonial powers active in the region at the time, the French and British, the Six Nations of the Iroquois would rapidly push their way westward in the often-bloody contest for the lucrative beaver furs that had become a cornerstone of their emerging new livelihoods1. One group, known as Mingoes2 or Ohio Senecas, would migrate into the newly claimed lands along the Ohio Valley that had previously only been claimed as hunting ground by other tribes. By 1750, at the mouth of Cross Creek, they would be present enough in migratory groups and settled villages for the location to be referred to as Mingo Bottoms by later Anglo-American colonists3. These migratory Seneca peoples would continue trading fur via Fort Pitt and white settlers would not fully displace them until the very end of that century.4 The fur trade, here as elsewhere, would have by that point greatly transformed the lives of these Senecas. The economies of traditional sustenance agriculture and hunting would be agitated by the introduction of European firearms. The Six Nations of the Iroquois would be among the first to adopt these items as trade for their valuable furs and the Seneca proved no exception. As indigenous peoples found their practices deeply affected by the mercantile market, their reliance on these weapons became more acute, but the fur trade began its steep decline in the wake of overhunting by the mid-eighteenth century, leaving these peoples already engaged in often exploitative arrangements with the colonial nations that much more vulnerable. Unfortunately, while we cannot entreat further with the importance of this trade here, its influence cannot be overemphasized. For our purposes it is sufficient to say that the first major commodity-driven market to pierce Mingo Junction had already faded by the time white settlers finally fully colonized the region5. Having suffered military defeats in Lord Dunmore’s War and the American Revolution, the Ohioan Seneca and their allies were forced out of the Cross Creek area. Claims to the land had existed prior to the Seneca’s final drive west into Ohio, but in spite of surveys commandeered by colonial militia, these remained mostly unmaterialized. The threat of excursions by now more-westerly tribes persisted and, wishing now to conduct a survey a sell claims to the land, Fort Stueben was constructed three miles upriver at what is now Steubenville. Although a town would be planned out from the result of these sales for the Steubenville site within the next eleven years, the sale of such claims did not result in the establishment of a village at the Mingo Bottoms.7 Instead, tracts of land to the extent of 600 acres wouldn’t be purchased until 1800 and effectively pursued until 1869. Prior to that, only a collection of large family-owned farms was present in the valley with the modest addition of a school in 1841. The agrarian community could find itself part of a railway system with the construction of the Steubenville and Indiana, a branch of which would run through the Bottoms, and the C & P Railroad’s river division, built in 1853 and 1855 respectively, but capitalists would for the most part continue to steam past the location.8 Its existence continued to rely on being a meeting place of sorts, for first fur trades and Seneca hunting parties, then military expeditions waged by the colonial governors against native peoples and the American army for training during the American Civil War, but for a century it was not considered a proper settlement, even as the nation’s frontier raced westward. Finally, in 1869, the 1800 claims of Reverend Lyman Potter and his son-in-law were divided between their descendants into two farms; one Mr. Potter, a beneficiary of this division, sold a locust grove that had been a popular picnic spot facing the vanishing island to a capitalists and another plot to Matthew Hodkinson. The latter aspired to establish an oil refinery, but the Standard Oil Company blocked this initiative, so the land was transformed into a brickyard, copper mill, and plaining mill. Meanwhile, in the same year, another farming family established a broom factory. Following these developments comes swift extensions of state recognition: a U.S. Post Office is established in the now two-school village the following year. Daniel Potter Jr., son of the aforementioned Mr. Potter, inherits his remaining acreage and conspires with two bankers from nearby Steubenville to lay out land specifically for future building projects. Whatever the feelings of those villagers who had in decades prior lived relatively autonomously, those that now found themselves part of an industrial workforce wasted little time in protesting the conditions they inhabited. By early 1887, a mere seven years after the construction of the steel plant at the former Iron Works, the workers in that plant had unionized under the banners of two organizations: the Knights of Labor and the Amalgamated Association of Iron and Steel Workers. A strike broke out that February at then-Laughlin and Junction’s Mingo plant and soon garnered press coverage nation-wide. 10The Knights of Labor would command the loyalty of the majority of the plant’s 290 workers at the onset of the strike, who had been organized into a local assembly back in 1895. Not all Knights would prove friendly to the assembly’s structure or policies, such as one in which members of management could be members of the worker’s assembly and invited Amalgamated to form a lodge at the plant as well. Most of these dissatisfied Knights would come from the ranks of the “autonomous” workmen, who were considered relatively autonomous due to their specialization of production processes. This exclusive knowledge established their position in the iron and steel plants across the nation between management and less-skilled workers who were readily replaced. In a system akin to the one they had previously possessed within their exclusive guilds, these craftsmen were free to work on contract, negotiate their own pay scales, and hire or fire both apprentices and helpers. Yet these conditions were preserved via specific sets of rules that were disintegrating in the face of the move from iron to steel processing and just as many craftsmen turned towards the Knights of Labor’s broader organizing principles as they did to the promises of preservation promulgated by trade unions like Amalgamated.11 The conflict that February in Mingo, originating from Amalgamated’s President William Weihe informing the plant’s skilled craftsmen that their wage scale (negotiated by the Knights of Labor’s assemblies) was significantly lower than ones procured by his Association, didn’t ignite until the breakdown of a crane prevented daily tonnage from being met and workers were left unpaid despite their continued presence being mandatory. Following the strike, the steel plant at Mingo Junction and the coal mines that operated to supply it would change ownership, but never would it return to the degree of worker’s control that had existed during the critical year in 1887 as skilled craftsmen were ejected with increasing mechanization. Workers there would remain part of Amalgamated until 1903, by which time they were the very last major steel plant in the north and east to be unionized at all, the association’s power long on the decline since the failed Homestead Strike of 1892.14 It would come under the direct ownership of Carnegie Steel and, later, U.S. Steel; it would be under this business’s management that the workers would participate in the General Strike of 1919 that shut down half of all steel production in the entire United States. Although the union would claim victory at the conclusion of the strike, the company itself would file for bankruptcy protection a second time in 2001 and lay off 22 percent of its workforce between 2001 and 2004.18 Not long after being purchased by the Russian based Severstal Corporation in 2008, the steel plant would fully shut down until its subsequent purchase by RG Steel in 2011, but their bankruptcy the next year led it into the hands of the Frontier Group of Companies, who demolished much of the plant’s outdated facilities before selling a portion of the southern facility housing more modern production equipment to Acero Junction Inc. in 2016.19 That company would go on to renovate their portion of the plant and restart of its operations to much fanfare in the local press a year later, only for it to be revealed that they had withheld eight million dollars from the contractors it employed in upgrading the facilities in August of 2017.20 Faced with court cases and protests, Acero sold the steel plant just last month. The steel plant at the center of this tale is still today regarded as the center of Mingo Junction. It re-entered operation in February of 2017 and at least one official noted that month that they were grateful for steel’s return to the village after its eight-year absence.21 Yet, if the unpaid contractors who renovated the facilities are any indication, its absence should be much appreciated. Our lives are already, at every corner, subsumed by capital with technologies far more sophisticated than the simple post office and telegraph wire. Why should we let a steel company, a terrible wraith indeed, emerge among our midst? In the nostalgic hope for jobs and the subsistence wages provide, we have turned a collective blind eye to the possibility that we do not need a steel company to rescue us from the ruins it left behind. In the end, the old facility, no matter how many times it is renovated, will always be the empty heart of a village founded for an iron works. Its people are not heartless though, and those acres of land, and so many more that lie abandon around the town, need not lie empty until a business comes to make it productive for its purposes alone. Mapping these locations and using their capacity to tend to our own subsistence, not at all reliant on the fickle wages of anyone, is but one possible method by which to proceed. Mingo Junction need not be condemned to the fate of the precarious factory worker it has always hosted, because movement can be just as easily facilitated by the gift from a friend’s garden as it can by the payment of a wage. There is much more to say of Mingo’s history: of its churches, schools, musicians and ecology, but we hoped to have presented enough information to concisely bring together the key elements with which we have drawn our conclusions. 1 R. Douglas Hurt, The Ohio Frontier: Crucible of the Old West, 1720-1830. Indiana University Press, 1996, pp. 8-9. 2 Mingo is an Anglo-American slang term for any Iroquois nations people outside their place of origin, and Ohio Seneca will be used throughout this article instead whenever possible, as it is more accurate. 3 Bicentennial History of Mingo Junction, OH: 1770-1970. eds. Mrs. Donald S Hoff, Mrs. John W. Novotny Mrs. John Latzy Mrs. Ernest Wilson Miss Nancy Kenny, Middaugh Printers, 1970, pp. 14-15. 5 R. Douglas Hurt, The Ohio Frontier: Crucible of the Old West, 1720-1830. Indiana University Press, 1996, pp. 30-32. 16 Kraina, Jane “Wheeling-Pittsburgh Steel Strike.” e-WV: The West Virginia Encyclopedia. 19 November 2010. Web. 04 April 2018.